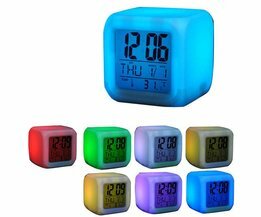 This colorful LED digital clock has an alarm and a thermometer. 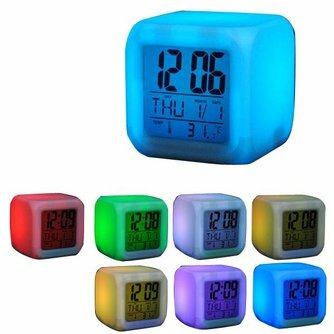 The alarm can take as many as seven different colors. 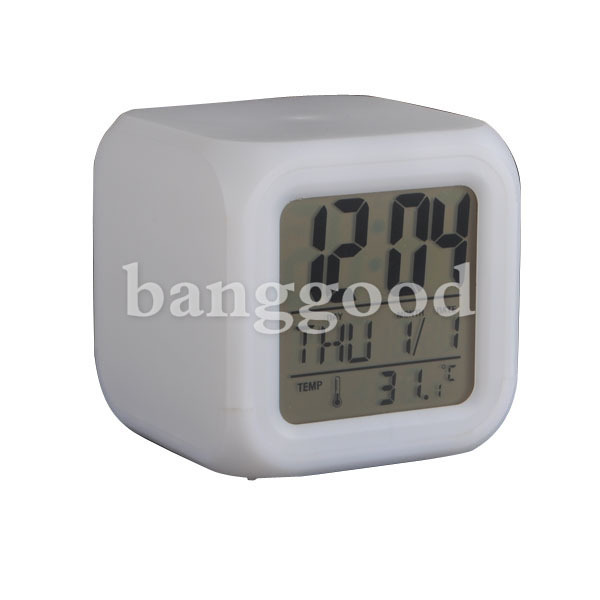 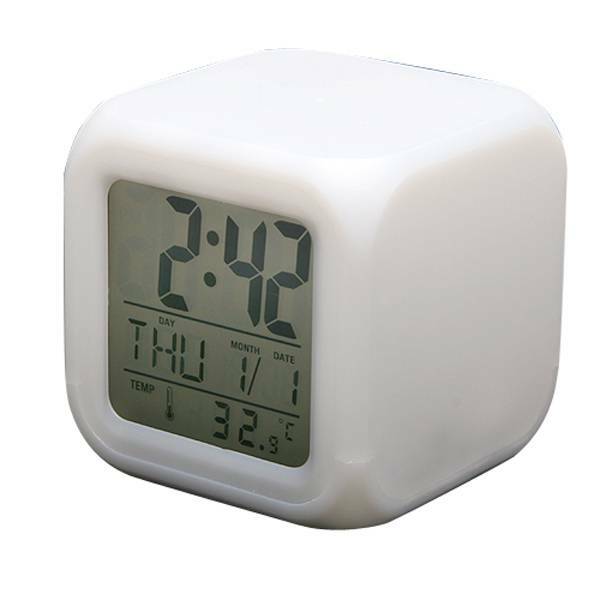 The clock has an LCD screen and displays 12 or 24 hour format, date, temperature and possibly an alarm.